Also don’t forget, we have a forum topic up that we’ll be going over next show!! Link here!! Politicians blame Video Games Again!! Tax on Violent Video Games for Rhode Island? Millennium, if you want to play some more tower management sims, there are Project Highrise games on Steam, from 2016 and 2017. Also, there are also tower games on IOS, like Tiny Tower. I have been playing the original Nier. 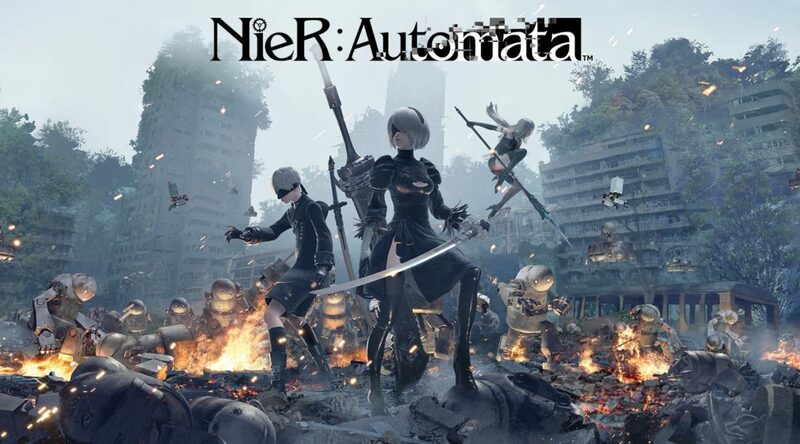 While it doesn’t have the same protagonists or the same conflict as Automotoa, it does have the same mix of gameplay. In certain areas, you’ll go from regular third person action to side-scrolling. Also, there’s a lot of the twin stick shooter gameplay, where spheres of different colors will be shot at you, and you have to either destroy them or avoid them. There’s even a text-based area of the game. The creator (I forget his name) is much like Kojima. His strange gameplay and narrative touches make him unforgettable. No one has forgotten him since he had those weird endings in Drakengard 3. I love games that troll or break the 4th wall.